Space and environment, perception, body and movement–all these are key factors to consider when designing an architectural project. Those parameters are also meaningful in somatics. I started to study architecture when I already loved dance and movement in space, and soon I realized that my approach to architecture was really interconnected with my sensorial and embodied experience while dancing. In this way I have always understood architecture from a phenomenological point of view, which means in relation to embodied experience. Years later, when I started teaching at the university, I discovered that some architectural issues were easy for the students to understand when they were accompanied by an embodied event. Talking about dimensions of space can be better understood if you are aware also of your own dimensions and movement. Talking about landscape and ecology is better understood when you have an embodied experience in relationship with the real environment, following its rhythms and changes. Learning about structures is more intuitive if you feel some of their laws in your own skeleton. So, I found in somatics–and more specifically in the Feldenkrais Method®–a wonderful path to go deep in these approaches. Within the interview we will discuss architecture and how somatics is included in academic learning and in architectural practice; but mainly, how one can experience embodiment and environment–in landscape and architecture–building a joyful life and learning experience. Mª Auxiliadora Gálvez (Córdoba, Spain, 1973) is an architect by E.T.S.A.M. (1998) and has a PhD in Architecture (2012). She is also a Teacher of the Feldenkrais Method® of somatic education by the Feldenkrais® Institute (2018). Since 1997, she has taught at the E.P.S. San Pablo C.E.U. University, mainly in Design Projects and coordinating the Diploma Thesis Workshop. She is accredited as an Associate Professor by ANECA and has gained recognition for three six-year periods of research. Between 2008 and 2013, she taught also at the Master of Collective Housing in Madrid (E.T.S.A.M.) and has been invited to develop diverse workshops, lectures and postgraduate programs in TU Graz, Panama University, Ljubljana Architecture School, Politecnico di Milano, Greenwich University, Harvard University and FADU Buenos Aires. Her PhD research at E.T.S.A.M. explored choreography as an experimental laboratory for architecture in terms of space, atmosphere and creative tools; in 2010 she won a grant from E.P.S C.E.U. and the Santander Bank to pursue this research for six months at the Academy of Fine Arts in Vienna. The PhD work has been awarded with a Mention in the National Competition of ARQUIA TESIS 2013. From 1998 to 2000, she collaborated with the Abalos & Herreros Office of Architecture. Since 2000, she has developed projects autonomously, and in 2003, together with Isabela Wieczorek, she founded Gálvez+Wieczorek Architecture (G+W) in Madrid. The office was active until 2016, when she founded Platform of Somatic for Architecture and Landscape (PSAAP). She has been distinguished in national and international contests: First Prize at Europan VI in Córdoba; Landscape Award in “Ciudad Levante” International Competition; First Prize at Europan VII in Murcia; First Prize at Celebration of Cities (UIA) in the local and national stages; Distinction at “Lausanne Jardins 2009” (as G+W the last three), Runner Up at Europan IX in Delemont, Switzerland; and Finalist at “The Next Helsinki”, at the “Laguna Art Prize” (Venecia) and at Piazza Castello International Competition in Milan, among others. In 2001 she obtained a grant from the Casa de Velázquez and in 2012 an EEA Grant from the Norwegian Embassy in Madrid. Her work has been published, among others, in “Natural Artificial” by EXIT.LMI, in the journals UHF, BAUWELT, Summa+, 2G, Deutsche Bauzeitung, Arquitectura Viva and in the monography “Excepto 21. Gálvez+Wieczorek”. Her architecture has been exhibited several times, notably in “Freshmadrid”, “Génération Europan” and “Gran Vía Laboratory” promoted by the C.O.A.M, the French Institute of Architecture (Paris) and Telefonica Foundation, respectively. In 2002 she was selected for the 8th Venice Architecture Biennale, and in 2018 her work was again selected as part of the material for the Spanish Pavilion at the 16ª Biennale. She has been a jury member on different occasions notably the Europan VIII, X and XII, the 12th edition of the “Premios de la Región de Murcia” and the COAM awards in 2015. Between 2006 and 2010 she has been Coordinator for Panama in the International Cooperation of Social Housing developed by the Andalucian Government. 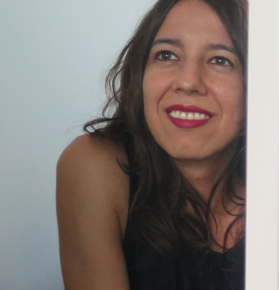 Nowadays she works in landscape and architecture, mainly from an embodied point of view, and researches the possibilities of embodied cognition and movement in the pedagogy and development of these disciplines.